Fastest-growing workplace services company continues national expansion, announcing largest location to-date at 530 Fifth Ave and 20th location opening at 75 Rockefeller Plaza in partnership with RXR Realty. New York, NY (September 12, 2018) – Convene, the nation’s leading flexible workplace and amenity services partner to Class A landlords, today announced a 116,000-square-foot lease at 530 Fifth Avenue and officially opened the doors to its 20th location at the iconic 75 Rockefeller Plaza, both RXR-owned properties. These are Convene’s 3rd and 4th locations as part of a larger strategic partnership with RXR. Convene will occupy four floors of RXR’s 530 Fifth Avenue, which will be the company’s largest location to date. The space will be home to the first Midtown location of Convene’s flexible workplace offering. Convene WorkPlace provides fully-serviced workspaces for entrepreneurial organizations and enterprise teams from 10 to 100 employees. The new Midtown location at 530 Fifth Avenue will build on Convene’s recent success providing flexible workspace solutions in Lower Manhattan at Cove Property Group’s 101 Greenwich Street and Brookfield’s One Liberty Plaza, opening later this year. Convene at 530 Fifth Avenue will also include the company’s signature full-service meeting and events offering, available to both building tenants and outside companies. 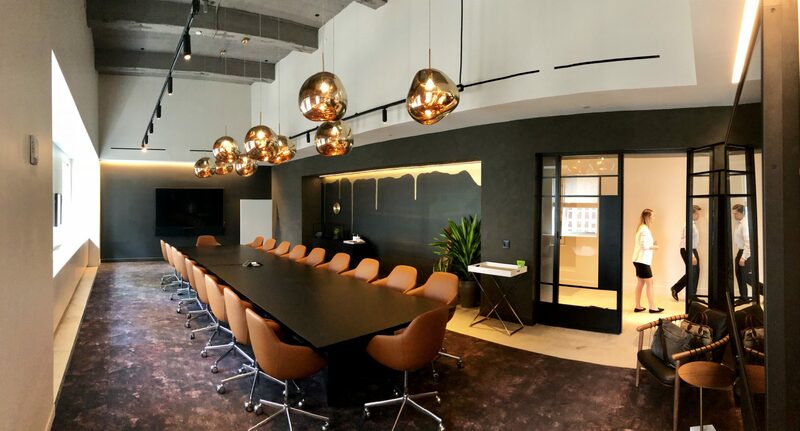 Building on an already-strong partnership with RXR, Convene recently opened 28,232 square feet of meeting and amenity space across the entire 31st and 32nd floors of 75 Rockefeller Plaza. The trophy Class A building, which recently completed a $150 million renovation, will offer Convene’s full suite of premium meeting and event spaces, hospitality and culinary services, and integrated technology services, which will be accessible to both tenants of the building as well as outside companies. 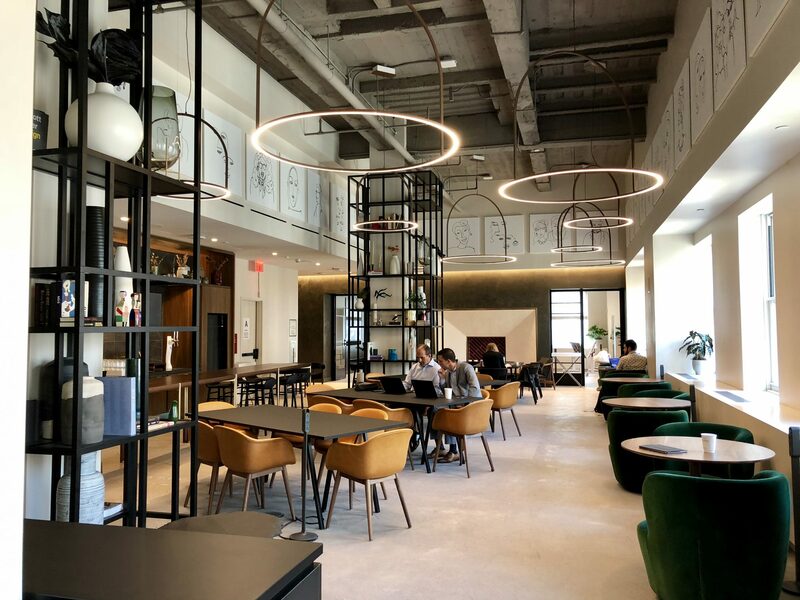 In addition, Convene and RXR have partnered to create a membership-only, work and social club on the 32nd floor of 75 Rockefeller Plaza. In July, Convene announced it secured $152 million in a Series D funding round to fuel its global expansion and launch new service offerings that will redefine the workplace experience. The funding round was led by ArrowMark Partners and included backing from a distinguished set of real estate companies, including RXR Realty, Brookfield and The Durst Organization. Convene’s total equity funding to-date is $260 million. Learn more about Convene’s growth in Bloomberg. RXR Realty LLC (“RXR”), is a New York-based, vertically integrated real estate operating and development company with expertise in a wide array of value creation activities, including distressed investments, uncovering value in complex transactions, structured finance investments and real estate development. RXR’s core growth strategy is focused on New York City and the surrounding region. The RXR platform manages 72 commercial real estate properties and investments with an aggregate gross asset value of approximately $17.7 billion, comprising approximately 23.1 million square feet of commercial operating properties and approximately 6,300 multi-family and for sale units in various stages of development in the New York Metropolitan area.